I was unsure of what to expect this year at NAB. I had some early clues but still wasn’t quite sure what was about to unfold. Then it was the opening bell and I was off. So we will start our 2018 NAB review series with some of the cameras. Full Frame, Large Frame and a few in between. To be fair, these are in no way all of the cameras at the show or in any particular order. But we have to start somewhere, right? Drop. Dead. Gorgeous. 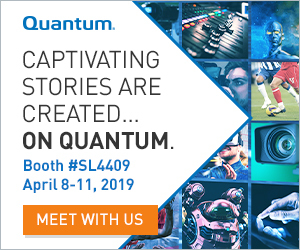 What better way to start off NAB 2018 than to see some of the most beautiful footage I’ve seen in quite a while? Shot in Venice on a VENICE (nice touch Sony), the reel highlighted the attention to details that helped built this camera and kicked some serious *ss. Deep color saturation captured with that outstanding 6K sensor. A crisp image, but without being too sharp. The images just popped off the screen. I would shoot with any of the cameras on my list in a heartbeat, but the Sony VENICE might have to be first. Oh, and some great specs too. As with other Canon offerings, the EOS C700 FF 700 is really well laid out with a ton of features. So many features that any cinematographer would be more than happy to put into play. Of particular note to me, besides the outstanding imaging, were how well the controls on the camera were laid out. Simply stated: easy to find, easy to use. Here are some of the fantastic numbers to look at. The newly developed sensor featured in the EOS C700 FF has an active image area of 38.1 x 20.1mm and supports readout at full size, as well as Super 35mm, Super 16mm and anamorphic modes. The sensor captures wide tonality exceeding 15 stops of dynamic range and a wide color gamut meeting ITU-R BT.2020 standards. 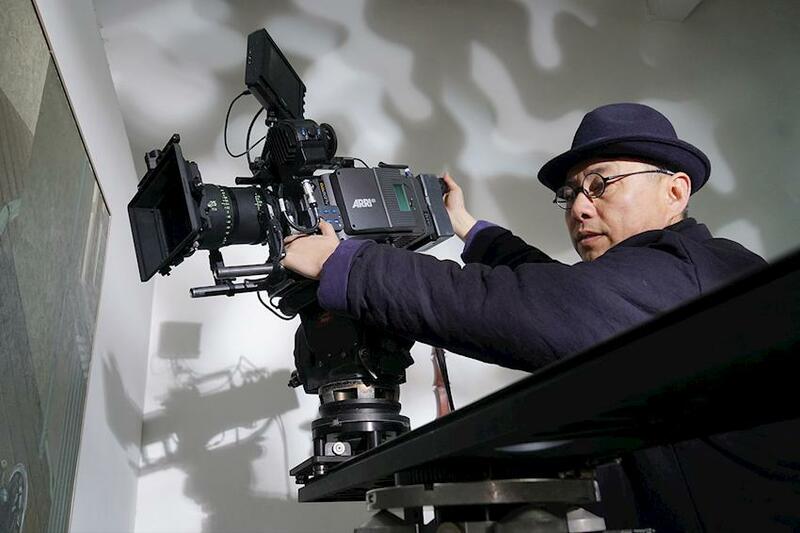 The EOS C700 FF has a choice of two high-performance codecs for on-board recording –Canon XF-AVC or Apple ProRes. Like other cameras in the 4K Cinema EOS family, the EOS C700 FF uses CFast cards to capture 4K / UHD or 2K / HD. 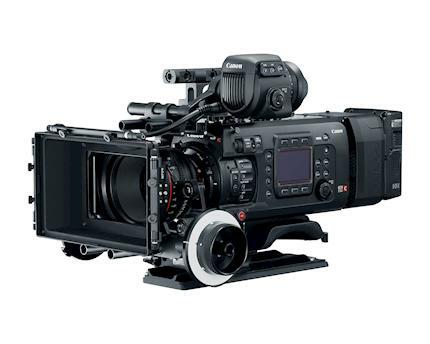 The C700 FF can shoot at a Full HD high-frame-rate recording at a maximum of 168 fps. Additional formats are planned with future firmware updates. The name pretty much says it all. With a reputation second to none, ARRI has long been known for being one of the absolute best camera makers and in just about everything else they do. So why all the fuss this time around? Well, two letters you should pay close attention to. Can you say LF? ARRI has answered the hope as prayers of countless producers, directors and cinematographers by introducing the ARRI ALEXA LF. Featuring a large-format sensor slightly bigger than full frame, the ALEXA LF records native 4K. 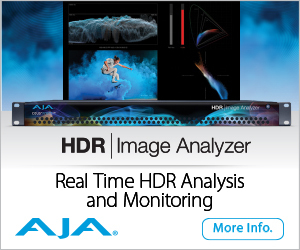 Different sensor modes cover any deliverable requirement and versatile recording formats-including ProRes and uncompressed, unencrypted ARRIRAW up to 150 fps-provide total flexibility. Accompanying the ALEXA LF camera are 16 large-format ARRI Signature Prime lenses, ranging from 12 mm to 280 mm and fitted with the new ARRI LPL mount. The new LPL lens mount has a wider diameter and shorter flange focal depth, allowing the ARRI Signature Primes and all future large-format lenses to be small and lightweight, with a fast T-stop and a pleasing bokeh — a combination of features that would not be possible with the PL lens mount. The LPL mount will also be available for other ARRI cameras and is being licensed to third-party lens and camera manufacturers. 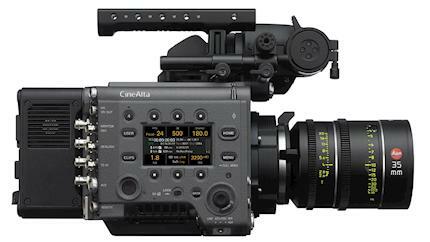 ARRI ALEXA LF offers the same tried-and-true, versatile workflows as other ALEXA cameras. Existing ARRI Look Files can be used, and the entire range of ARRI workflow software tools will support ALEXA large-format images. Lens metadata can be recorded from LDS-1, LDS-2 or /i capable lenses. This next part might not be fully about cameras, but this news from Panasonic along with Atomos and Apple was just too important to pass up. 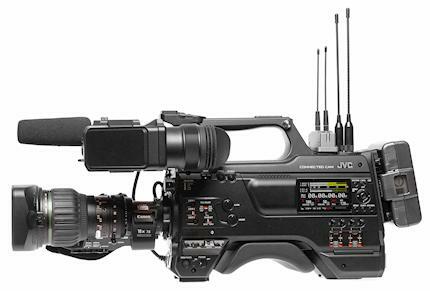 The Panasonic AU-EVA1 Compact S35 and the VariCam LT cinema cameras will have support for their RAW data outputs in the new ProRes RAW recording codecs. 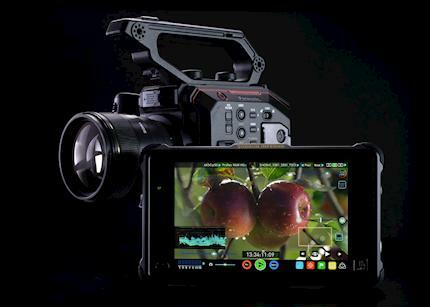 Native support for ProRes RAW has been introduced in the latest edition of Final Cut Pro X, and Atomos has announced that its Shogun Inferno and Sumo monitor/recorders will record in the new format. In addition to internal recording formats, the EVA1 and VariCam LT can output RAW data for the greatest flexibility in post image adjustment. With the new EVA2.0 firmware, the EVA1 can output 10-bit Log-encoded RAW data in 5.7K up to 30fps, 4K up to 60fps and 2K up to 240fps. From the VariCam LT, the Atomos recorders can capture RAW data in 4K up to 60fps and 2K up to 240fps. Today, Atomos has released the firmware to support EVA1 RAW and VariCam LT RAW to ProRes RAW recording in 4K and 2K resolutions, with 5.7K support scheduled for a May release. Final Cut Pro X with ProRes RAW support is slated to be available for download on Monday, April 9th. The EVA 2.0 firmware with RAW output and VariCam LT v6.0 firmware are available for download now. Now we get to switch some gears and take a closer look at a couple of other cameras that really stood out this year. The JVC GY-HC900 may have been the sleeper camera of the show. The GY-HC900 broadcast camcorder features three 2/3-inch CMOS image sensors for full HD as well as connectivity for a complete news-over-IP workflow solution in the field. Beyond ENG, the GY-HC900 can be utilized for high-end EFP and studio fiber applications. With dual memory card slots for SDHC/SDXC media, the GY-HC900 offers redundant, relay, and backup recording modes. The camera includes a 3.26-inch OLED color viewfinder, as well as a 3.5-inch LCD panel for menu navigation. Camera functions can also be controlled via web browser or the JVC RM-LP100 remote camera control. Other features include a genlock input, time code in/out, dual 3G-SDI outputs and an HDMI output, three XLR audio inputs, Ethernet and USB ports, wireless audio module slot and an additional slot for future expansion. 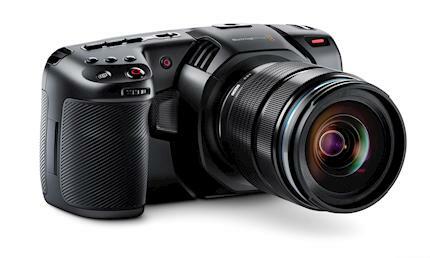 Last, but certainly not least, on the list is the Blackmagic Design Pocket Cinema Camera 4K. Blackmagic Design doesn’t get enough credit for the original version of this camera. A lot of budding cinematographers got their start on this camera! That said I think that the older design was getting a little long in the tooth and needed to be refreshed which this version does. One of my favorite features? The XLR connector. I know it may not seem like a big deal, but why have to worry about audio? Right? The new Blackmagic Pocket Cinema Camera 4K, a handheld digital film camera with full 4/3 HDR sensor, dual native ISO with a maximum ISO of up to 25,600 for low light performance as well as 13 stops of dynamic range. It also eliminates expensive external recorders, as it features a unique new USB-C Expansion Port, which allows customers to record using the internal SD/UHS-II and CFast recorders or directly to the same external disks they will use for editing and color correction. Super wide 13 stops of dynamic range allows capture for high-end feature film look. Includes full license for DaVinci Resolve Studio editing, color, visual effects and audio post-production. So that is just a sample of cameras and updates from 2018 NAB. There is going to be a lot more. Like I said we are just warming up so make sure to check back often. Good shooting. Mark J. Foley, MBA BA is an award-winning producer and director and the Technology Editor for ProductionHUB.com. 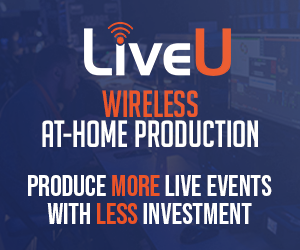 He is on a mission to provide the best in new equipment reviews, along with exclusive analysis and interviews with the best, the brightest, and most creative minds in the entertainment and production business. Have a suggestion for a review? Email Mark.